East Baton Rouge Parish Supt. Warren Drake fulfilled a major promise last week with the re-opening of Istrouma High School in North Baton Rouge. Istrouma, once the largest school in the state, was closed by the State Department of Education three years ago, and there were no plans to re-open. However, the closure of Istrouma meant there was no public high school between Scotlandville on the north and Baton Rouge High on the south. Students in the 70805 zip code were bused far outside their neighborhood. Drake said the closure of Istrouma undermined efforts to rebuild North Baton Rouge, an area plagued by poverty and crime. “First a school, then a community,” he said, arguing that re-opening Istrouma was essential to creating a strong community in the area. 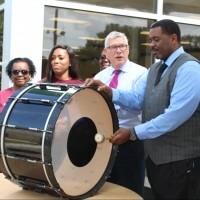 After a $24 million renovation of the school, a new principal and staff, and a new curriculum oriented to the petro-chemical industry and college prep, Istrouma opened last week to much fanfare in the media. 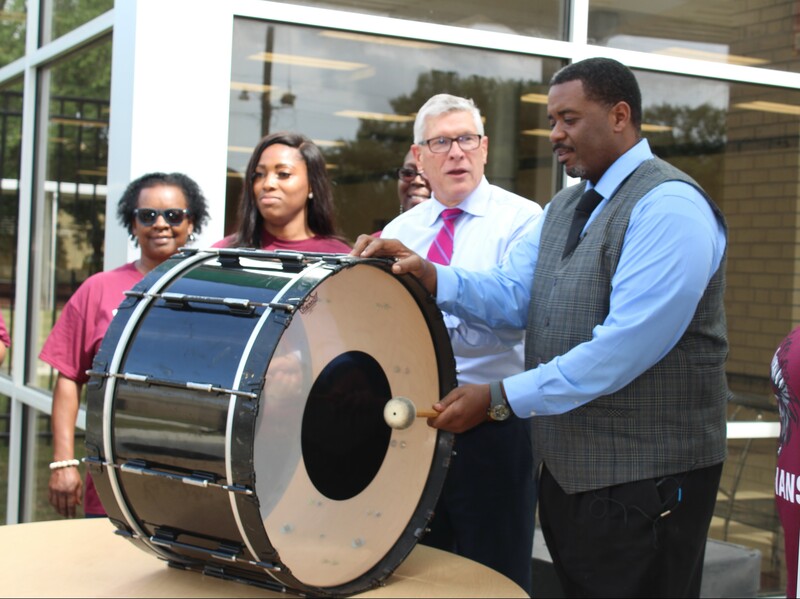 Drake and principal Reginald Douglas revived a tradition of beating the drum to mark the re-opening of Istrouma. The school is keeping its historic nickname of the Istrouma Indians, much to the delight of the Houma Indian tribe, which plans to dance when the school has a formal celebration sometime in October. The school has opened with only 9th and 10th graders. So far, more than 450 have enrolled with more coming daily. The school will add a grade a year for the next two years.